The Transport Committee of the UK Parliament is calling for a full, independent, public inquiry to address whether commercial pressure from oil and gas companies affects the safety of offshore helicopter operations. The inquiry must also examine the role of the Civil Aviation Authority, say Members of Parliament (MPs) on the Transport Select Committee. The call follows the committee's publication of its report on the subject. On August 23 last year, a helicopter crashed into the sea while on approach to Sumburgh Airport on Shetland. Four passengers were killed. This crash prompted the CAA (Civil Aviation Authority) to undertake a wide-ranging review into offshore helicopter safety which was released in February. “After five accidents since 2009, offshore workers’ confidence in helicopter safety is understandably low," said Louise Ellman, chair of the Transport Committee. 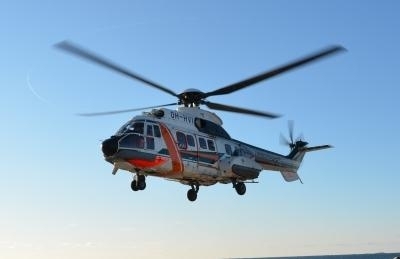 “Despite work by the CAA, serious questions remain unanswered about offshore helicopter safety in the competitive commercial environment of the North Sea. We fear a creeping complacency may be affecting safety standards. The report highlights how the Air Accidents Investigation Branch (AAIB) investigation into the Sumburgh crash uncovered a number of serious issues. In particular, AAIB found pre-flight safety briefing did not accurately explain how to use the type of Emergency Breathing System (EBS) supplied on the helicopter. The committee concluded that regulatory inertia at the European Aviation Safety Agency (EASA) is exposing offshore workers to unnecessary risk by slowing down the implementation of safety improvements. The UK Government must uphold and entrench the CAA’s ability to act quickly and unilaterally. The report found that there is no conclusive evidence that Super Puma variant helicopters (which make up some 60% of the UK offshore helicopter fleet) are less safe than other helicopters. Nevertheless, operators, manufacturers and industry safety groups should continue to engage with the offshore workforce to address their concerns in this area. In a statement, the CAA said that any loss of life in aviation accidents is always tragic and the safety of those who rely on offshore helicopter flights is therefore our absolute priority. "In February we announced over 70 actions and recommendations to improve safety, primarily aimed at preventing accidents but also to improve survivability following an incident," the statement read. "These were widely welcomed by unions, helicopter operators, the oil and gas industry and Norwegian regulators and are bringing significant improvements in safety for those flying offshore in the UK and potentially worldwide. "The new CAA-led Offshore Helicopter Safety Action Group is ensuring operators and industry implement these changes as quickly as possible. Made up of the offshore helicopter operators, oil and gas industry and offshore workforce and pilot representatives, it has already overseen the approval of a new significantly enhanced underwater emergency breathing system for offshore workers. This new system will be rolled out across the UK offshore industry this summer and autumn with accompanying training. "The CAA will ensure that safety improvements to UK offshore helicopter operations continue to be implemented as a priority."